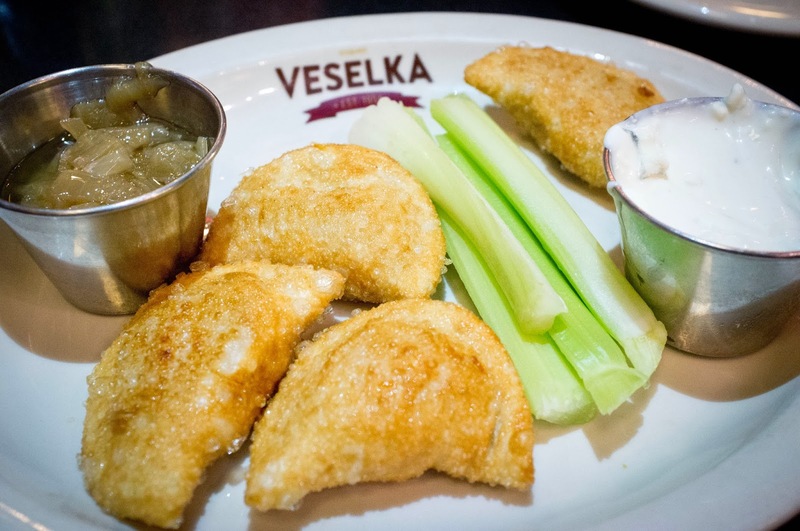 Veselka has been on my "to try" list since we originally moved to NYC almost 4 years ago. 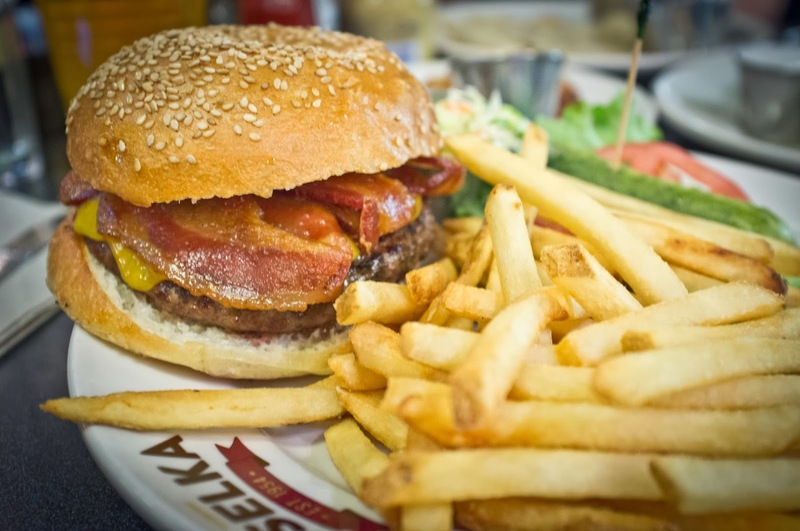 While I've been wanting to try the pierogi, I also had their burger bookmarked for The Mr since it frequently shows up on "Best Burgers of NYC" lists. On a frosty night we finally made our way out to see what this little "coffee shop" has to offer. Walking in, we immediately loved the vibe: very warm and welcoming. We waited a few minutes for a table and then settled in for a Ukrainian feast. We started with a couple of Ukrainian beers while we narrowed down the menu. 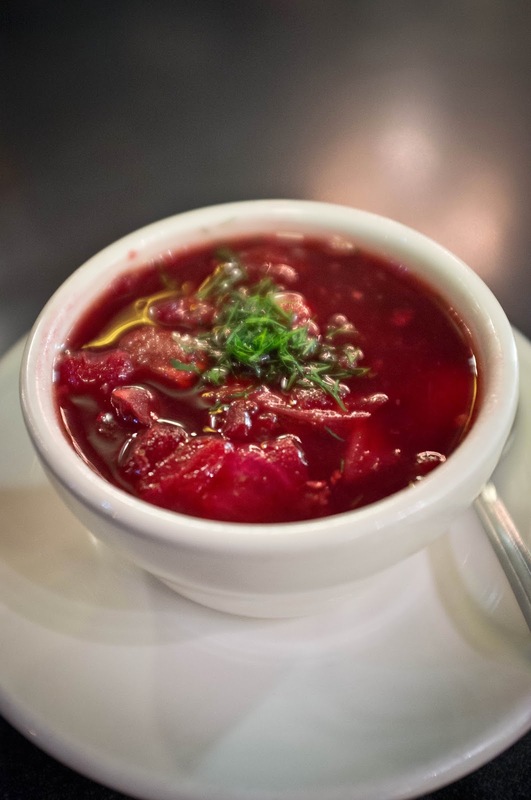 I have never had Borscht and have been wanting to give it a shot, so that was a no-brainer. We were also sold on the special Buffalo Chicken Pierogi which were every bit of a delicious, tasty snack as they sound. Then of course, was the burger. The verdict from The Mr was that it was good for a local diner, but not necessarily a burger worth coming across town for. The pierogi on the other hand were definitely worth coming all the way across Manhattan on a frigid night for. As you can see, we couldn't decide and wanted to try them all so that's exactly what we did. 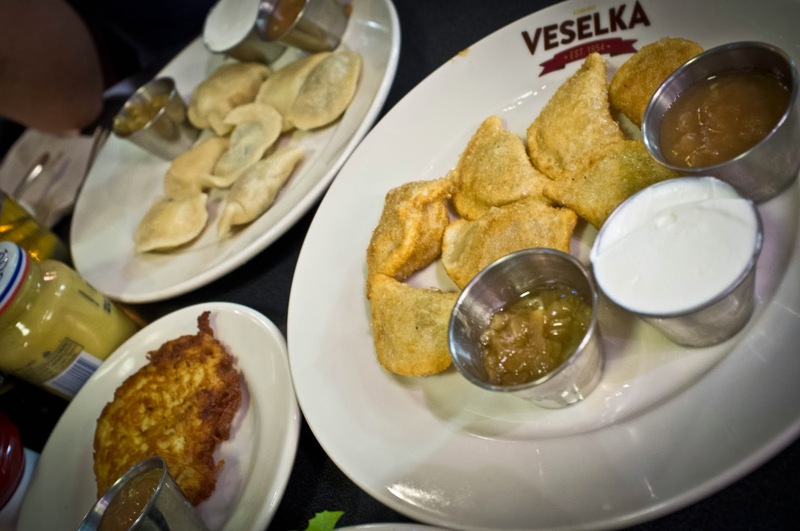 We ordered one of each pierogi boiled and fried as well as a side of potato pancakes. We loved this so much that we immediately ordered another set of fried and boiled to go so that we could repeat this the next day. Since, we were placing a to-go order we threw in their Apple Crumb Pie as well which we thoroughly enjoyed later that evening. All in all, Veselka lived up to what I'd been hoping the past several years (that's a pretty tough standard to live up to). We can't wait to go back to sample some of the other offerings on their extensive menu (Stuffed Cabbage - I'm lookin at you).